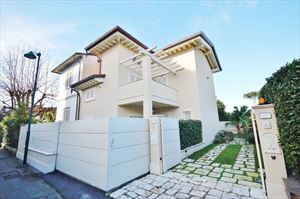 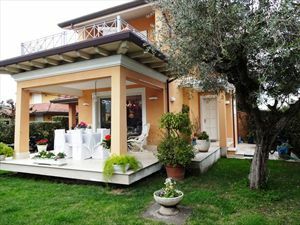 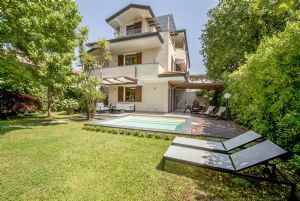 Family house for rent Forte dei Marmi downtown, only 500 meters from the sea with garden to 3 sides, located in a quiet and prestigious area. 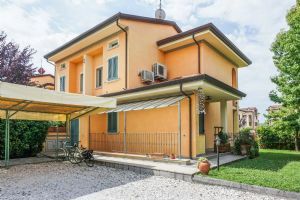 The real estate has alarm system, internet connection, cooling and floor heating, satellite TV, electric gate and parking. 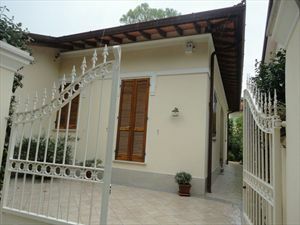 Ground floor - living room, dining room, kitchen, bathroom. 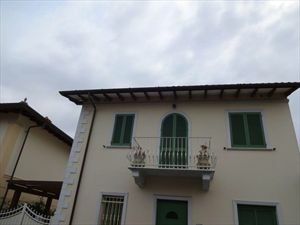 First floor - 3 bedrooms with bathroom.